Somehow in all the pre-launch book excitement, I managed to miss the fact that Honda celebrated its 65th Anniversary this year. I recently came across their 2-minute ad which brilliantly avoids the “names and dates on a timeline” cliche and instead celebrates the importance of imagination and their contributions to innovation. And, true to the heritage of the Indian Motorcycle, the Chief will be the first model to be unveiled in the new model year as the brand cointinues to emerge under the stewardship of Polaris Industries, which acquired it in 2011. First introduced in 1922, the Indian Chief is historically Indian’s most popular selling model and is widely regarded as one of the most iconic motorcycles ever produced. 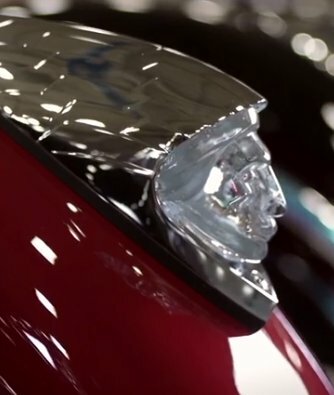 The re-styled and re-engineered Chief, powered by Polaris’s ThunderStroke 111 engine, will be unveiled at the Sturgis Motorcycle Museum located at the corner of Junction and Main Streets, on Saturday, August 3 at 8 p.m. . The event is free of charge and features live music, celebrity appearances featuring Mike Wolfe of American Pickers, interviews with Indian Motorcycle team members, a multimedia tribute to Indian Motorcycle’s history and more. Other Rally events centered around Indian Motorcycles include displays, demo rides, and, on August 9, Indian Motorcycle Night at the Buffalo Chip. While Indian’s history hasn’t been continuous these past few decades, the industry will be watching -and Indian enthusiasts will be waiting a bit breathlessly – to gauge the level of commitment Polaris is willing to make to the brand. The 2014 Indian Chief will be built at Polaris’s Spirit Lake, Iowa production facility with a starting MSRP of $18,999. 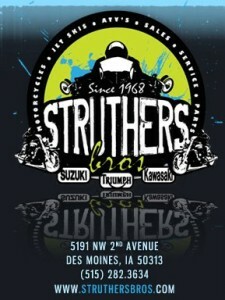 Struthers Bros.: Best Motorcycle Shop, and dinner rides! Just a quick post to say congratulations to Struthers Brothers Kawasaki Suzuki Triumph at 5191 NW 2nd Ave., for being voted Best Motorcycle Shop in Des Moines in a recent poll conducted by Cityview! In addition to carrying a variety of motorcycle brands, Struthers Bros. also carries apparel, parts and gear, and has an extensive selection of pre-owned bikes of many makes and models. They also carry Midland USA communication and helmet-cam equipment. All dinner rides leave promptly at 4:30 pm from the Struthers Bros. parking lot. The dealership is also hosting the Ride Against Diabetes on Sunday August 25 from 12:30 pm – 3:30 pm. Cost is $25 per person. Click here for the flyer shared on their Facebook page! While you’re at it, be sure to “Like” Struthers Brothers on Facebook and visit their website at www.struthersbros.com. Kyle Espinola of FindtheBest tells me that their research team built the comparison by first determining what data should be included, then populating the data fields with data directly from the manufacturer or government databases. The comparison also includes “expert ratings,” which are weighted averages of industry sources, including Motorcycle.com, CycleWorld.com, and Motorcyclist Magazine. “(Users) can also give their own reviews on the product at the bottom of each listing, (and) can also add/edit listings. Every add/edit is quality checked by our staff and then sent live,” Kyle said. He notes that the FindtheBest team also adds bulk entries at different times – for example, a major addition will take place when more of the 2012 bikes are out. Bikes aren’t the only things you can compare at FindtheBest – the site has created a “one-stop shop” of comparisons covering a broad range of interests, allowing users to find and review both objective data and user reviews all in the same spot. You can read a little more about the site in a December, 2010 write-up on the blog Mashable. Yes yes, I know, not every rider longs for a Harley. But for those who do, HD is sweetening the pot this month (yes, the month of January) with a special offer for owners of other brands. Just take your competing brand bike in for a trade, and they’ll give you an extra $500 over your trade-in. (Roads covered in ice? Here’s a tip – you can probably ask your dealer if they’ll pick up your trade-in.) Here’s the link for complete info on the HD website. And, if you think you might want to own an HD but don’t know which model is for you, check out this new “build your bike” app on the MoCo’s Facebook page that will help you figure it all out. Hey if nothing else it’s a way to kill a few minutes while you’re waiting for the snow to melt. 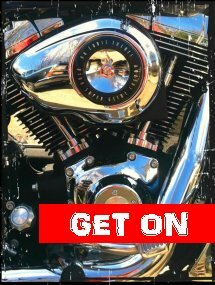 Finally, just a quick plug for one of the things I like best about the Harley brand – the community of riders. Once you do get that dream bike, be sure to join your local Harley Owners Group (HOG) chapter. You’ll find an instant family of fellow riders eager to lead (or follow) you down the road. 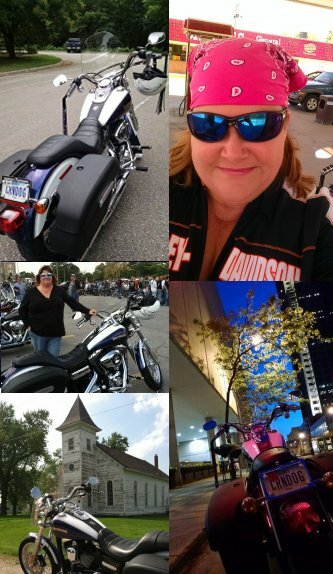 Earlier this year, the folks at Harley Davidson invited riders to submit photos of themselves and their bikes, enjoying the road and the ride. They used these photos to create a mosaic design for their 2010 new-model catalog, and provided a link to the mosaic online so those who submitted photos can find themselves in the design. Be sure to browse the online version! 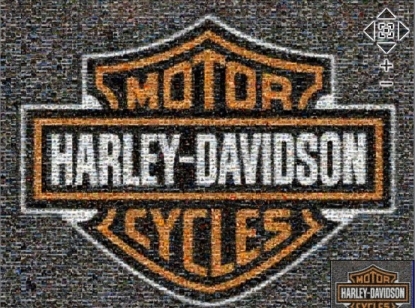 It may not be the cover of the Rolling Stone, but still pretty cool: Harley Davidson is looking for 10,000 HD owners to be featured in a photo mosaic on the cover of their 2010 Motorcycle Catalog. Riders around the world are invited to pick a favorite photo of themselves with their bike or of a riding experience (rallies, events, etc.) and upload it to the mosaic through the Harley-Davidson website. Of course, you must be the owner of the photo to upload it – you can’t upload someone else’s personal or professional work. Here’s the submission link with complete details: www.harley-davidson-mosaic.com. Ms. Sampson was honored at the premiere party for her film, Her Need for Speed, which took place December 11 in Los Angeles. An HD spokesperson said her film stood out for the quality and creativity of the content as well as the success she had in capturing the empowerment inherent to women riders. In addition to the premiere party, Sampson received $5,000 in cash, a new High Definition video camera and a Harley-Davidson leather jacket. Already a rider, Sampson will also have the opportunity to fine tune her riding skills with a gift certificate for a 5-day bike rental through Harley-Davidson’s Authorized Rentals. Melissa Kosar of Orange, Calif. and Marta Masferrer of New York City were selected as First Prize Winners, each receiving $1,500 to use toward their next project, a Harley-Davidson leather jacket and the opportunity to learn to ride through Rider’s Edge(R), Harley-Davidson’s rider training program. Dozens of female film makers answered the contest’s challenge, to create original short films that capture the freedom and control that riding offers women. The three prize-winning films can be viewed at http://www.facebook.com/harley-davidson.